The Emporium is a must visit shop for all - not just for railway enthusiasts! The stock we carry has all been donated by our friends and supporters, so every pound we raise goes towards the running costs of the Great Central. From time to time we support specific projects ie The Bridge. Over the last three years we have raised in excess of £150.000. Not bad for a shop manned by volunteers whose average age is around 70. The Emporium is a treasure trove of books, pictures, magazines, DVDs, videos, CDs, models, bits of railwayana and literally anything that sells. The quality of our stock is amazing, the majority in pristine condition and most importantly, fairly priced. 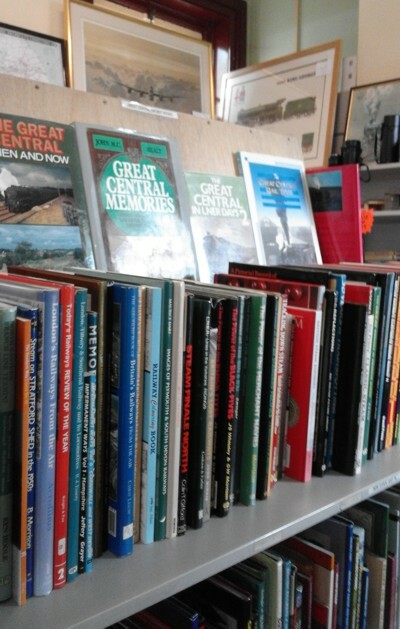 Compare us with other preserved railway shops and specialist book shops and we are sure you will agree. So call in and have a look and a chat with our friendly team and see what you can find.